How good is your project sponsor? Peter Taylor, Ron Rosenhead and Vicki James have just written a book about project sponsors which aims to address some of the challenges facing project managers working with sponsors, and to help sponsors themselves get better at the job of sponsoring. I spoke to the authors of Strategies for Project Sponsorship to find out more about project sponsorship and why they thought the world needed to hear more about it. First in the hot seat, Peter Taylor. Peter, let’s start off with something easy. How do you define a project sponsor? A great question to start with as it was the very question we, as authors, began with as well. The major project management bodies define sponsorship in varying ways but we didn’t really feel that there was single clear and comprehensive definition – you won’t find one in a dictionary for sure for a project sponsor. In the book we list what we feel are the 17 key responsibilities of a project sponsor but these can be summarised in what we have termed ‘balanced project sponsorship’: that is someone who is involved in the project, objective about the project, supportive of the project and project manager, and reactive to project needs. Another view is simply that the executive sponsor is ultimately responsible for the success and failure of the project. We are not so sure that is accurately reflected at senior management levels since whilst many project managers seem to be challenged on why a project might be slipping or failing, very few sponsors seem to suffer a similar experience. OK, so what should I look out for in my project sponsor? Trying to deliver a project without project sponsorship is like playing football without a rule book, a coach, any funds for new players, or even a referee. It is said that a project is one small step for a project sponsor and a giant leap for the project manager. Well, wouldn’t all project managers feel so much better if they knew that the project sponsor’s ‘one small step’ would ensure that the complementary ‘giant leap’ would lead to a safe and secure final landing? Karen Tate said that ‘trying to manage a project without project management is like trying to play a football game without a game plan’. We decided that in comparison ‘trying to deliver a project without project sponsorship is like playing football without a rule book, a coach, any funds for new players, or even a referee’. Not a good situation at all. A potentially bad project sponsor will exhibit some or all of these behaviours. To be a successful partner in this project then they need to be connected to you the project manager and to the project team, if they are remote then that is a red flag for sure. And if they are too busy to meet, to discuss, and to aid then that paints that red an even darker shade. If they avoid helping in the assignment of project roles and responsibilities and never have time to ‘timely’ approve documents then you have a problem that is reaching critical status. Throw in a dash of blaming anyone but themselves for any problems then it is probably time to walk away. You are in real trouble (and so is your project). A bad sponsor is potentially your worst nightmare. Conversely a good project sponsor will behave in the opposite manner in these areas and will happily act as advisor to the project manager and will focus on removing obstacles in the path of project success. In my experience, project managers don’t get to choose their sponsor. Would you agree? Yes. It is a little like the saying ‘you can pick your friends but you can’t pick your relatives’, the same is true of project sponsors. You get what you get. If you can’t choose your sponsor, how can you build a professional working relationship with them if you don’t like them much? The first task is to understand your project sponsor. You can learn a great deal about ‘where your sponsor is at’ through some simple open questions at the start of your relationship. Ask them about their ‘hopes’ for the project and their ‘fears’ about the project. What do they believe this project can deliver to the business, do they believe in the project even? And what concerns them, what do they see as the issues on the horizon that could impact on the project success. The more that you know the better you can shape the right working relationship. Also, the more likely you are to find something that you both do connect on. Once you understand the sponsor you have then the next task is to learn the ways that they operate. If you don’t have personal experience then you can do this through asking other project managers who have worked with them in the past for their experiences, and this will allow you to plan a strategy to build a working relationship. The book spends plenty of time focusing on how a project manager can learn to work with (or around in some cases if we are honest) project sponsors of various types. We talk about the busy sponsor, the absent sponsor, the sponsor who wants to be the project manager and many other ‘typical’ sponsor types that project managers regularly encounter. And we offer advice and guidance on ‘managing’ each of these types. Next time I’ll share what one of Peter’s co-authors, Vicki, recommends to get the best out of your sponsor. 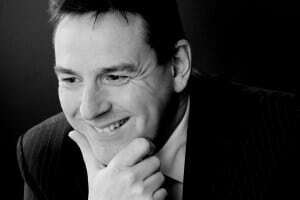 Peter is a dynamic and commercially astute professional who has achieved notable success in Project Management. His background is in project management across three major business areas over the last 26 years, MRP/ERP systems with various software houses and culminating in his current role with Infor, Business Intelligence (BI) with Cognos, and product lifecycle management (PLM) with Siemens. He has spent the last 7 years leading PMOs and developing project managers and is now focusing on project based services development with Infor. He is a professional speaker as well as the author of ‘The Lazy Project Manager’ (Infinite Ideas) and ‘ ’ (Gower) and ‘The Lazy Winner’ (Infinite Ideas). Filed Under: Stakeholders Tagged With: Project Sponsor, This article contains affiliate links.